Shiny Heliolisk in game: 52 Who? Important notice! 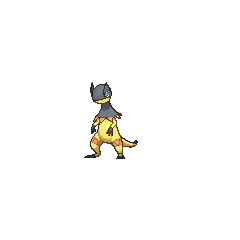 Pokemon Shiny Heliolisk is a fictional character of humans. 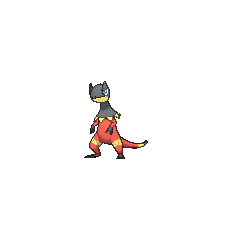 Heliolisk (Japanese: ???—? Elezard) is a dual-type Electric/Normal Pokémon introduced in Generation VI. Clemont owns a Heliolisk that he mainly uses for Gym Battles. Instead of taking it with him on his journey, he leaves it with Clembot so it can use it for Gym Battles while he is away. It first appeared in Clemont's Got a Secret!. Clembot used it in its battle against Clemont and his Bunnelby, and lost. 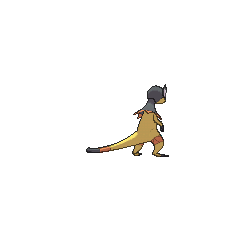 A Heliolisk appeared in A Showcase Debut!, under the ownership of a Pokémon Performer in the Coumarine City Pokémon Showcase. A Heliolisk appeared in Lights! Camera! Pika!, under the ownership of Frank. A Heliolisk appeared in Party Dancecapades!, under the ownership of a Pokémon Performer participating in a dance party. Two Trainers each owned a Heliolisk, which appeared in The First Day of the Rest of Your Life!. An image of a Heliolisk appeared on Ash's Rotom Pokédex in SM007. Clemont's Heliolisk was kept hostage by Xerosic in the X & Y chapter. Making a T-shaped match deals more damage than usual. 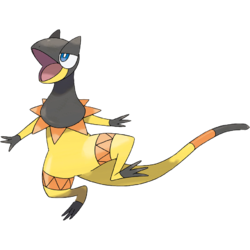 Heliolisk is the only non-Grass-type Pokémon to evolve by using the Sun Stone. Heliolisk is likely based on a frilled-neck lizard, because of its notable ability to expand its frill. 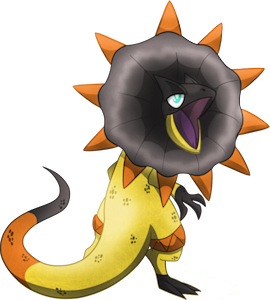 With its frill fully expanded, Heliolisk also resembles the sun itself when viewed from the front; its black coloration may possibly be a reference to solar eclipses. It may also be based on the spotted salamander, a salamander that has the ability to photosynthesize. Its ability to learn Surf may be a reference to the common basilisk, a reptile capable of running on water for short distances. Heliolisk's ability to convert solar energy into electricity along with its title as the Generator Pokémon suggest that it may have been inspired by the solar power generation system. Its French name suggests it may be based on the iguana. Additionally, it shares few resemblances to the leopard geckoand the Dilophosaurus a genus of theropod with two crests on its head, that is commonly yet inaccurately depicted with frill on it's neck. Heliolisk is a combination of ?λιος helios (Ancient Greek for sun), basilisk, and possibly obelisk, an ancient Egyptian monument that represented a ray of sunlight piercing the clouds and hitting the ground at a ninety-degree angle. 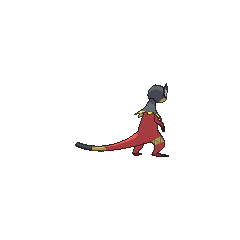 Elezard may be a combination of elekiter, ??????? erimaki tokage (frill-necked lizard), and lézard (French for lizard).